We are a group of independent racers based in KL, Malaysia who are passionate in cycling, running and triathlon. We are a amateur group to train ordinary human to become extraordinary athletes. IT was an unusual sight on the NPE highway as 7,700 runners clad in brightly-coloured bibs hit the open road for the Adidas King of the Road Marathon (KOTR) 2011 held on Oct 2. Flagged off by Minister of Works Datuk Shaziman Abu Mansor, the participants took off from Sunway Pyramid for either the 10km or 16.8km run on the highway, monitored by a state-of-the-art tracking system. “As a global leader in running, Adidas is geared towards helping runners all over the world perform better with the introduction of products, technology and platforms designed purely with a runner’s needs in mind,” Adidas Malaysia country manager Ng Chee Loon said. 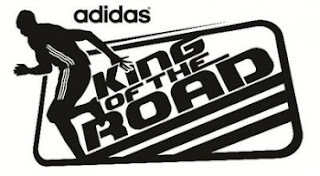 The Adidas KOTR is a regional running initiative that sees five countries – Malaysia, Singapore, Thailand, Indonesia and Philippines, hosting the same race. The top two runners, both men and women, in the closed category (local runners) for the 16.8km run will receive an all-expenses paid trip to the Philippines to compete in the KOTR finals on Oct 23. Brothers Arul Thever Muniandy, 33, and Murali Arasu Muniandy, 29, took first and second place in the men’s closed category (16.8km), with the elder brother clocking a time of 59 minutes 15 seconds. “I’m really happy with my results, and I will run my hardest to do Malaysia proud at the finals,” Arul said after the event. Murali, who came a close second with 1 hour 2 minutes, added that they had trained very hard and had aimed for first or second at the run to win the chance to compete in the finals. Meanwhile, in the women’s closed category, Michelle Tan, 27, clinched the gold with a time of 1 hour 13 minutes 54 seconds, followed by Sun Nee Ng, 38, who took second with 1 hour 18 minutes 41 seconds. “The route this year was very straightforward and wide, there was no way anyone could get lost, and the slopes were manageable too,” an elated Tan said. Both Tan and Ng will be heading to the Philippines with the Muniandy brothers to compete alongside the participants of the KOTR race there. “This event comes at a time when running is becoming increasingly popular among Malaysians and across Southeast Asia. “Keeping up with this fitness trend, we hope to contribute to the vibrant sports scene in Malaysia and the region by cultivating sporting habits and an active lifestyle,” Adidas' Ng said, adding the recently-launched Aviation of Runners club aims to motivate runners to hit the pavement, reach their running goals and achieve their personal bests at local races. He also thanked the police, the NPE concessionaire and the public for their support in making the event a success.